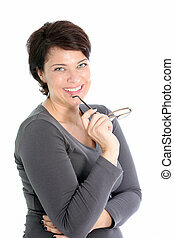 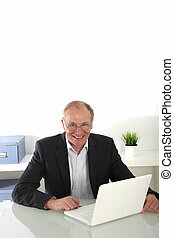 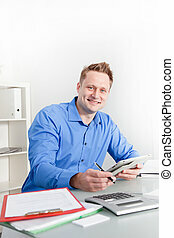 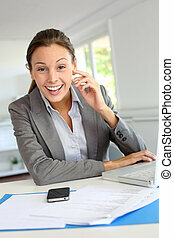 Smiling businesswoman at her desk looking up at the camera as she writes a short memo to herself. 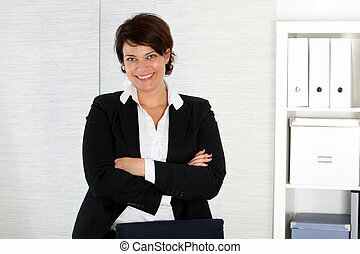 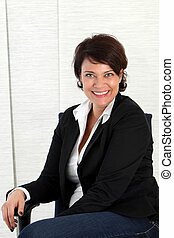 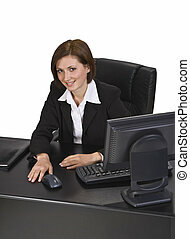 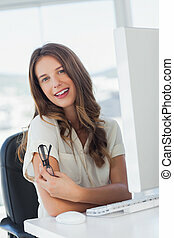 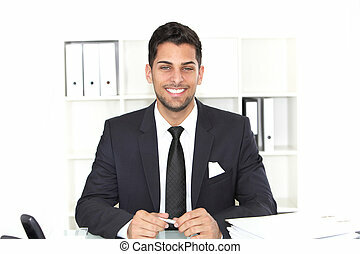 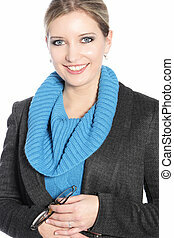 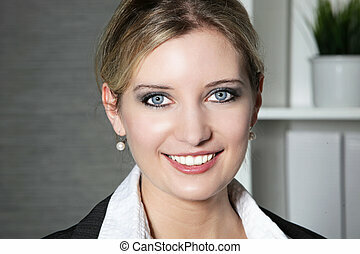 Portrait of a young smiling businesswoman at her desk in the office. 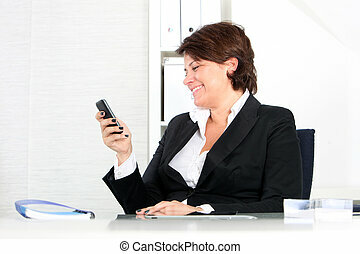 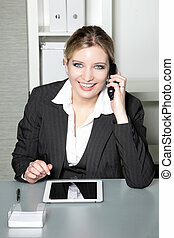 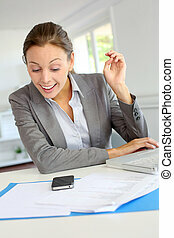 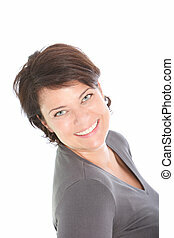 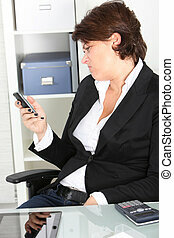 A business woman smiling while working on her Apple iPad or some other tablet.